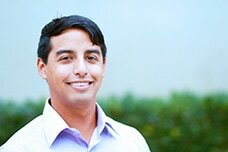 Juan Gaytan is a Ph.D. student in the School of Education with a specialization in Learning, Teaching, Cognition, and Development (LTCD). In high school, Juan participated in a summer academy aimed at supporting Latino males attain a post-secondary degree and helping to improve academic outcomes for males in the Latino community. He returned the following year, and every year since then, as a mentor for the new students and has currently served on the non-profit’s Board of Directors for several years. The organization has now branched out and made career specific programs, one of which is an academy for Latino males that want to become teachers, which Juan has been an integral part of developing and running. Juan’s research focuses on the Latino male teacher and exploring what motivates Latino males to become teachers and what deters so many from entering the teaching profession. Juan hopes his research can shed light on the topic of Latino male teachers and utilize it to help recruit and retain more Latino males into the teaching profession, which is essential for providing equitable teaching for our rapidly diversifying student population.